01 – Where to download Quartz.net? 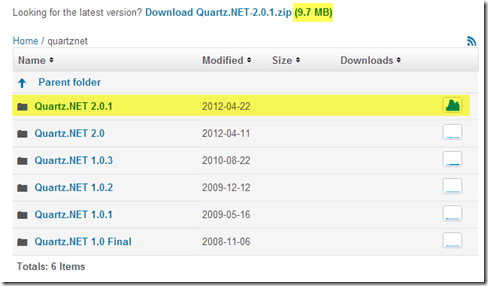 Currently version Quartz.Net 2.0.1 is the recommended download version. 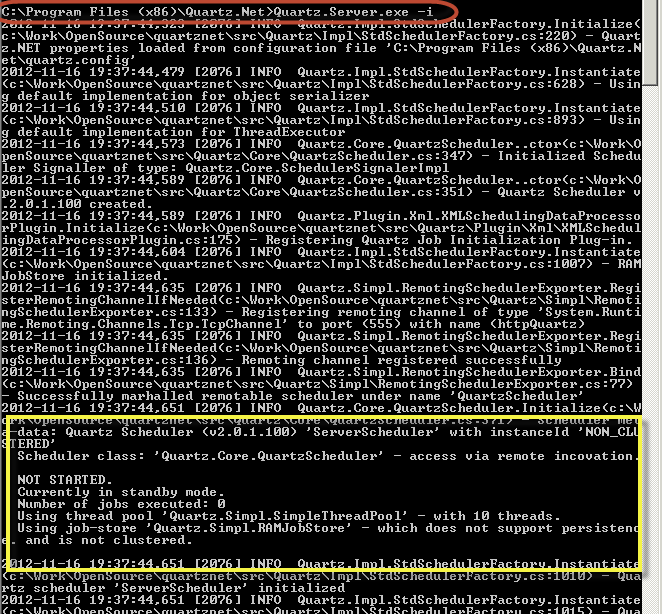 Navigate to the folder Quartz.Net \ Server \ bin – This is where you will find different .net version installers of the quartz.net packages. 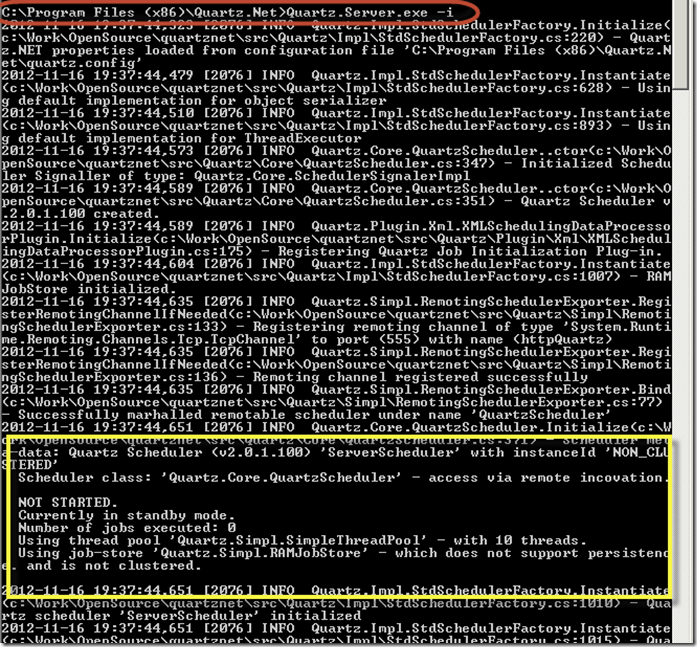 For example in the screen shot above, you can see the Quartz.net .net 3.5 and .net 4 packages. 6. 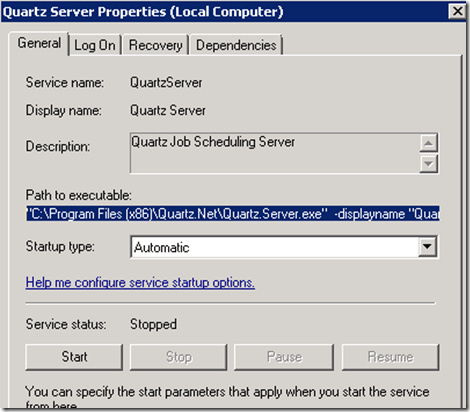 How do I know that Quartz.Net service has installed as a Windows service? Go to run prompt and type ‘services.msc’ you should now see all the windows services installed on your machine. Navigate down to look for Quartz.Net. The service installs itself as an automatic startup Type and log on as ‘Local System’. You can easily change this to your prefer account that you would like to run the service as. 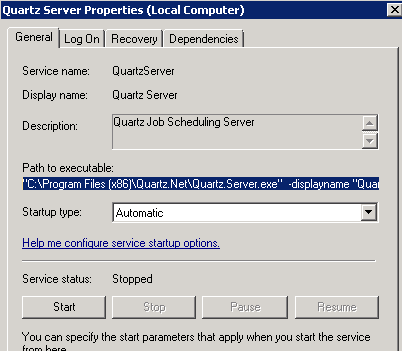 Can I change the default display name of the quartz.net windows service? A blog post on more configuration details can be found here. So, I have installed Quartz.Net as a windows service, how do I test whether my installation has been successful. This was second in the series of posts on enterprise scheduling using Quartz.net, in the next post I’ll be coveringhow to run your first scheduled task using Quartz.net windows service. All Quartz.Net specific blog posts can listed here. Thank you for taking the time out and reading this blog post. If you enjoyed the post, remember to subscribe to http://feeds.feedburner.com/TarunArora. Stay tuned! custom rating bar style using android's ratingBar small style.